The long awaited sunny weekend at Whidbey Island arrived this past weekend. We had boating, we had tubing and we ate and drank and shared some good times with good friends. A big treat for me was no cooking all weekend! 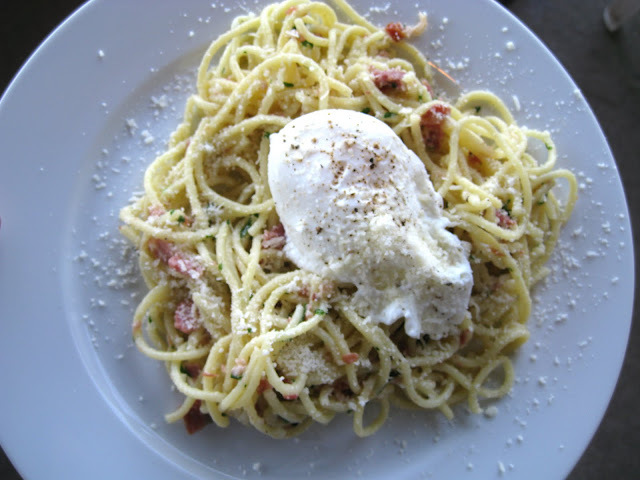 An even bigger treat were the fabulous meals we had, one being this carbonara which we lovingly named the Norbonara, after it's chef. and the words "Hello Piggy". You know how we Emertons love a good pork fest. 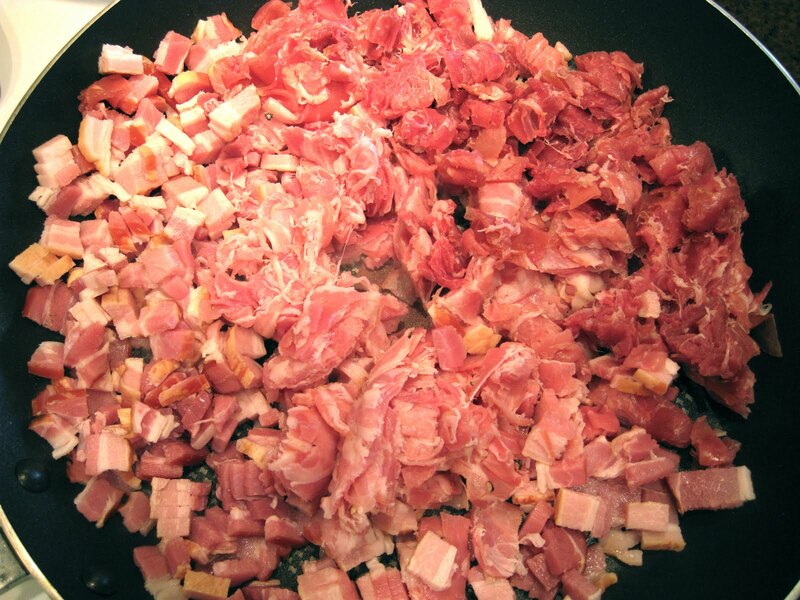 The three kinds of pork product were smoky bacon, pancetta, and prosciutto, chopped and pan fried until crispy. The sauce for the pasta contained chicken stock mixed with the crisped pork, then tossed with cooked pasta, chopped parsley, and asiago and parmesan cheeses, and then topped with a poached egg and another sprinkling of cheese. The warm egg yolk ran into the pasta giving it an even richer flavor. A new favorite carbonara!